Carving out the time it takes to play a full round of golf is one of the biggest obstacles most golfers face. But what if golf didn't have to be an 18-hole 4+ hour experience? A course architect I am not. I have zero to absolutely no expertise. I do have a tendency to doodle the routing of courses in the margins of my notes during meetings. I'm spacial, I enjoy picturing myself moving through the course, recalling the nuances and signature holes. Once I draw the routing I normally take a step back and imagine alternative routings, shorter loops. I think about playing a 5-hole loop at Pebble Beach (holes 1, 2, 3, 17, and 18) or a 6-hole loop at Pacific Dunes (holes 1, 2, 9, 7 of Bandon Dunes, 8, and 7) or either 6-hole loop at Chambers Bay (holes 1, 2, 3, 16, 17, 18 or holes 10, 11, 6, 7, 8, 9). I am a passionate fan of the game looking to expand the definition of what it means to play a round of golf. These shorter loops on existing courses made me think about what a round of golf should be. It also made me think about routing in general. Most courses have two types of routings: the traditional out and back and the tried and true two loops of 9 holes. The routing is often dictated by the land and the functionality of the course. What if you could start from scratch? What would/could a course look like. My big idea: The Clover Course. It wasn't until I visited Streamsong Resort that I saw my idea put to use. Holes 1-6 on both the Blue and the Red can each be played as a 6-hole loop. My playing partner and I took full advantage of this when we arrived late on our first night and still were able to sneak out and play 6 holes in the dwindling light. We played in a little over an hour and thoroughly enjoyed the sneak peek of what the next two days were going to be. 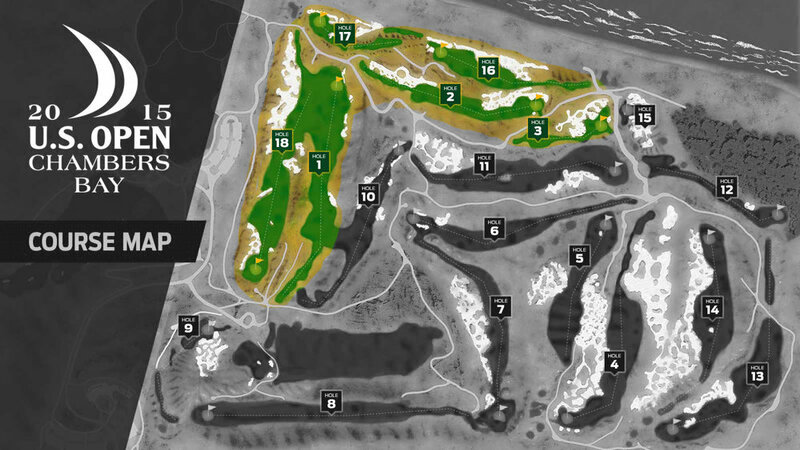 What if a course was routed as a series of 6-hole loops each circling back to the clubhouse? Each "clover" could be played individually, repeatedly, or in any combination to create a 6,12, or 18-hole experience. Better yet, what if a course had four 6-hole loops that could be played interchangeably to create an 18-hole course, leaving one "clover" as a short course for quick play? In my mind the functionality and reliability of such a property would be wonderful for the property itself and the player. A property consisting of four 6-hole loops is in essence four courses for the price of one complete with a 6-hole short course for quick play, playing lessons, junior golf, etc. Such a property would also benefit by being able to get more groups off at peak times and conversely be able to get more groups out later in the day for 6 or 12-hole loops, perfect for the golfer looking to get in a little golf after work. Better yet, imagine starting your day at the course! A 6-hole loop before work wouldn't be a bad way to start your day, would it? I would love to see this design come to fruition. I truly believe it would benefit the game and perhaps encourage more people to play. Until then, I will continue to sketch my Clover Course on bar napkins and dream of a property with such potential. Who knows, maybe a Fairy God Keiser will read this and capitalize on the potential. Until that day comes, continue to Enjoy Golf.